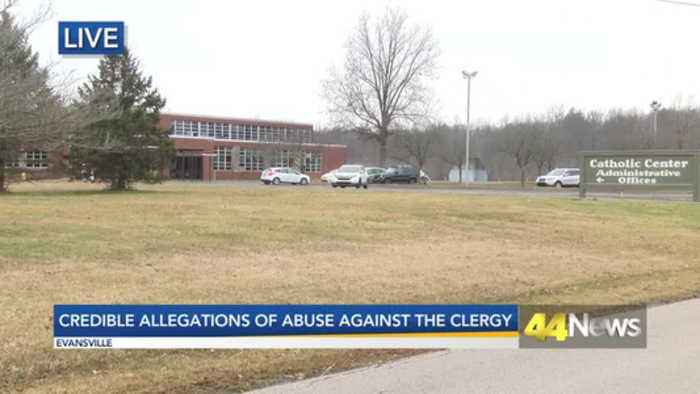 The diocese of evansville has released a list of what they call 'credible' allegations against the clergy? 44news reporter joylyn bukovac is live now with an update and the diocese's response? The catholic diocese of evansville hired a private investigator to review all priests dating back to 1944. That's when the diocese was founded. The investigation started in october. The report released today includes the names of 12 priests who are accused of sexually abusing minors. There are 42 allegations in total. About half of these priests were either removed or dispensed from the clergy. One priest had 18 allegations against him but admitted to none. Of the 42 total allegations only six were admitted to. One priest was even convicted back in 1?96 but returned to active ministry three years later. Most of the allegations happened decades ago. Some dating back to 75 years ago when the diocese was founded. Two of the priests on the list died before the investigation even started. Bishop siegel says he ask the forgiveness of those who suffered sexual abuse by members of the clerg? No matter how long ago, as well as of all the people of the church. The full list of names can be found on our website?